dee sanchez PAINTS! 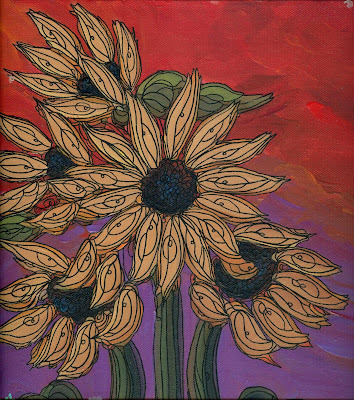 : "SUNFLOWER FIESTA"
This is one of the commissions that I am shipping out tomorrow. It's actually a square but in the photo, it looks more retangular. It makes me feel happy! Thanks to my collector for being patient.